RapReviews.com Feature for October 21, 2003 - Loon's "Loon"
Loon. Loon? With a generous interpretation, one could assume his rap nom de plume was short for "lunatic." With a less flattering one, the rapper could be a drug courier for major weight by stuffing condoms full of drugs into places we at RapReviews would rather not describe. Either way, the artist known as Loon is in something of a rap purgatory: he's made enough cameos on Bad Boy Records songs and remixes for his voice to be vaguely recognizable to a hip-hop audience, but he's not an MC you could pick out of a large crowd by face. More to the point, it's not likely you would seek him out for some dap or an autograph if you could. While Bad Boy (and P. Diddy in particular) obviously see something in Loon, he hasn't really made a name for himself with any incredibly dope singles or hip-hop quotables. With the self-titled "Loon" album, rapper and record label alike are hoping to make him a household name AND a rap/pop celebrity. Loon has the some of the smartest marketing people in the music industry backing him, so getting his singles on Clear Channel and Viacom owned networks shouldn't be a problem. Talent is the issue - does Loon have it? First off, there's Loon's flow. It's a slow tempo delivery, laid back almost to the point of being off beat. Loon also has a tendency to mush his words when speaking, making his "car" sound like "cahhh" and his "sexual" sound like "sek-shule." This in itself is not unique for an MC, but when you add his slow flow and mush mouthed speech together with a low vocal tone and the fact he's signed to Bad Boy, the conclusion one draws is both inescapable and obvious - he's a second generation Mase. Bad Boy went down this road before with Shyne, who was accused of being a second generation Notorious B.I.G. but eventually proved he has a sound and style all his own. Loon isn't so lucky - the resemblance is uncanny. To be completely fair, Mase often got a bad shake for his sound and the fact he was signed to Bad Boy; especially after Biggie died and he was expected to carry the label's torch. Mase was no Chuck D or Rakim on the mic, but he was far from embarassing and had a savior-faire to his rap that combined with hot beats made him a fan favorite. To reach a similar plateau, Loon could use the help of some "Feel So Good" and "Lookin' at Me" caliber beats, along with a bevy of hot guests. They got the latter part right on "How You Want That" featuring Kelis and "Do What You Like" featuring Trina, the first two songs on the album. In beats however, both tracks come up short. The former tries to build on Schoolly D's "Saturday Night" for some nostalgic appeal, but only makes you jonz for the original. The latter features Loon doing his impression of Biggie on "What's Beef?" but has a Yogi beat not even a tenth as interesting as B.I.G. 's joint. 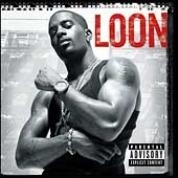 Loon gets consistantly buried by beats that are not terrible per se but fail to capture your attention or imagination. Younglord's pseudo-oriental influence on "Relax Your Mind" is almost nice. P. Diddy's "Down For Me" featuring Mario Winans though sounds eeriely similar, and not that fresh for a track meant to crossover. Track Masters "This Ain't Funny" is eeriely apt. D-Nat's work on "Story" is the first really dope beat on the album, a brooding and pulsing song full of mad tension. It took seven tracks to get there - that's not a good sign. My name hold weight, far from a John Doe"
Not necessarily Loon. Besides the mediocre production that only occasionally flashes brilliance and the impression that he's a lesser version of Mase in sound and flow, the lyrics are completely underwhelming. Some rappers can get away with a simplstic style of spitting the same way every bar and rhyming the word "to" with "to" every line on the strength of charisma and personality, but Loon has less than Ben Stein. To this writer, it's amazing that Bad Boy continues to push soloists like Loon and poorly conceived groups like Da Band when clear stars like G. Dep and Craig Mack languish in the obscurity of not being released. In fact, didn't Mack promise us on the "Special Delivery" remix that in 2002, his CD would drop to save hip-hop? I don't think he failed to deliver on that promise intentionally - I just don't think P. Diddy has the cajones to make a man with a face uglier than Biz Markie the biggest star on his label. Combs, whether you like it or not, Mack has more talent in the fingernail on his right pinkie than Loon will ever have in his entire lifetime.